Sony introduces a couple of new DSLRs with live view, plus the A200 from earlier in the month. They also "announced" the 24-70mm F/2.8 and the 70-300 F/4.5-5.6 G SSM lens, which were announced several months ago, the latter appearing in the lens brochure put out by Sony for a while now. I don't know why everybody's all excited over this old news. I've put up a page with screen-sized shots of the two lenses, and the two cameras. The A300-350 are the same in appearance, the only real difference is the model name and megapixel count on the left-hand side. Check out the high-res shots here. Live-view using a CCD in viewfinder. Tilt-able display, but not swing-out. A300 Shoots at 3fps, unlimited in JPEG, or 6 RAW. A350 only 2.5fps. Battery gets 730 shots per charge with LV off. Can take optional battery grip. 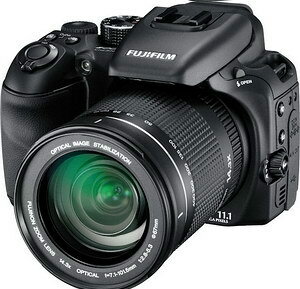 Fuji has introduced a very expensive fixed-lens camera. The 11.1mp, 28-400mm zoom will retail for a whopping $799. For that price you can get a DSLR in a two lens kit. This camera is using the 2/3" super CCD HR for a "new dimension of beauty" or so they say. Go here to see a "new dimension of beauty." I viewed the sample shots and must say, I'm not really impressed---for an $800 camera. They look like typical small sensor images. Of course, they're all at ISO 100. Check out the blue sky pic and see some mottling and smeared details. The ad says "Genesis of Nature Photography Digital Camera" what the crap does that mean? It must've lost something in the translation. On the bright side, if you're not enlarging your images, these shots will look just fine. 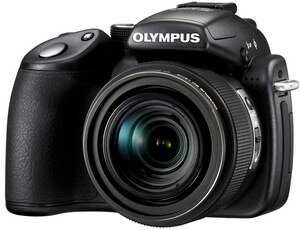 It has a manual focus and zoom ring (that's good) like the Olympus SP-570 UZ below. Also, this is a heavy camera---918g or almost 2lbs! CCD shift image stabilization, plus digital. Manual focus and zoom rings. Shoots at 3fps at 11.1mp up to 7 frames. Lithium-Ion battery, no numbers yet. ISO 100-3200 and 6400-10000 in reduced mode. 25mb internal memory, SD or xD cards. Big heavy camera, 918g or nearly 2lbs. Ships in February for $799. Just when you thought is was safe to buy an SP-560, Olympus comes out with yet another super-zoom. This time it's a 20x 26mm-520mm F/2.8-4.5 with a (what's claimed) manual focus and zoom ring. It has an AF/MF switch on the side of the lens, so I'm thinking you turn off AF to manually focus with the ring, or when AF is switched on, you manually zoom with the ring. Another possibility is a push-pull option. There isn't too much information right now on how this works. If it does work with one of these methods, it could be a very attractive camera. The dimensions are the same as my old(!) SP-550 UZ so it'll still be nice and small. Optical image stabilization, plus digital. Manual focus and zoom ring.....we'll see. Shoots at 1.2fps at 10mp or 7.2fps at 5mp. 1/2000-15sec or 8 min bulb mode. Continues the use of AA batteries---good! ISO 64-3200 and 6400 in reduced mode. 45mb internal memory or xD cards. Ships in March for $499. I've posted the camera name that belongs to each picture below, but I threw you a curve. On the soft 75-300mm lens-bottom row, I used the Konica Minolta 5D 6.1mp camera to compare to the A700. It doesn't seem to make any resolution difference with the addition of twice the megapixels, but that's no surprise. On the top row, it appears the A100 is sharper, but it's really just the in-camera processing that's adding extra sharpening over the more reserved A700. If I sharpened the A700, it would be the same as the A100. For the top row test I used the Sony 50mm F/1.4 lens at F/8, which is much sharper than the full telephoto (at F/5.6) shot with the 75-300mm. As you can guess, it really makes no difference simply adding 20% more megapixels with a sharp lens, or 50% more with a soft lens. This topic might make a good page length article...coming soon. Today I've posted a couple dozen photos from my Thursday visit to the 2008 Barrett-Jackson collector car auction in Scottsdale, AZ. Included are many ISO 800 and 3200 samples, though small in size for quick viewing. All images taken with the Sony A 700. Check out the colorful shots here. All you megapixel maniacs out there might want to stare at the two sets of images below and tell me which ones are 10.2mp, and which ones are 12.2mp. I took both images in the top set with the same lens, and both images in the bottom set with the same lens, but different from the top. I performed no image editing other than an upsample of the A 100 images to match the A 700s size. 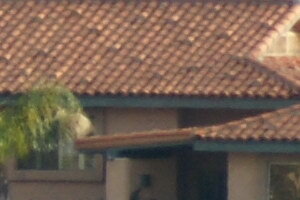 Both are full (+) crops from the center of the image. I left the metadata intact for those of you who can't wait! I'll let you know in a few days which ones are which. 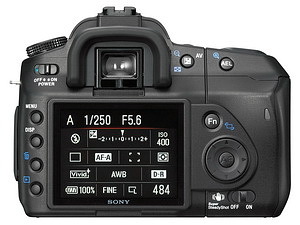 The Sony A 700 has a great magnifying feature on the beautiful 3" LCD, especially for checking focus. You push the AF/MF button with your right thumb in playback mode, then zoom-in using the rear wheel. Once you get the appropriate magnification, use the front wheel for viewing your other shots at the same magnification, in the same area, very handy. You just have to remember to frame your shots the same so you don't have to do any scrolling. This is a great feature, which more than makes up for the slow scroll rate. Another nice touch: if you've been using manual focus, and turn the camera off, it'll come on in auto focus---that's good, as I've actually ruined more than a few shots (on my A 100) by forgetting to reset the switch to AF. 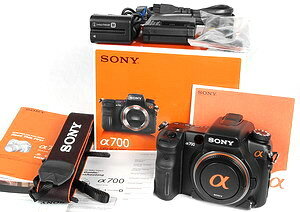 Sony A 700 running review. I had server problems yesterday, so I wasn't able to post my review page for the A 700. Go here to check it out. 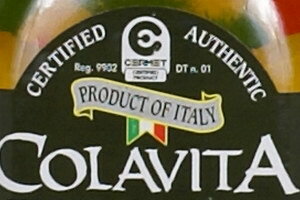 So far, I've come up with a few random observations, plus the requisite product shots. Also, I've compared the A 700 and A 100 side-by-side in my standard ISO table. The A 100 only goes to 1600, meaning I had a couple of empty boxes to use, so I put in an upscaled Konica Minolta 5D ISO 3200 next to the A 700, then I used an ISO 1600 full crop from the Panasonic Lumix FX100 against the ISO 6400 from the A 700---not as bad as you might think! In other news; has anyone heard anything about the Sony DT 55-200mm lens that was bragged up by Sony a few months ago? My lens brochure I received with the A 700 has it listed as a regular item, but I can't find it for sale anywhere. Also, the 24-70mm CZ F/2.8 isn't listed in the brochure at all, but the 70-300mm G SSM is listed and says it'll be available "spring 08" or so they say. So we'll kick off the new year with a review of the Sony A 700, an intermediate level camera or "advanced amateur" model as Sony calls it. This DSLR is designed to take some bread and butter away from Canon and Nikon. 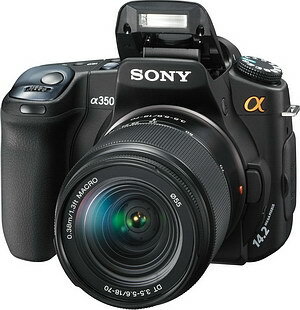 How will it compare to the Canon 40D or Nikon D300? I don't know because I don't have those cameras. I do have the Sony A 100 on hand, so we can check to see what a paltry difference 2 megapixels make, and how the ISO images differ at various sensitivities. Page link opens Monday. This will be the now-normal running review, which will take a little longer than usual, so check back every few days to see the updates. I'll start posting thoughts and product photos tomorrow, with maybe some sample shots of the studio still life taken from the Konica Minolta Maxxum 5D, the Sony A 100 and A 700, all using the same lens. Hey, I've finished my three week nap, now I'm ready to doing something constructive, like post a brand new camera, see below! Actually, I really haven't been busy lately---read lazy. I did manage to get a few things done. Sharp-eyed visitors will notice I posted a hiking review, with yet another one in the works, and added a few things to the "coming soon" page. I'm going to do a regular review of the Sony α 700 starting next week. I know I said I might not be getting one but, times change. I guess I'm all pumped up over the new year. 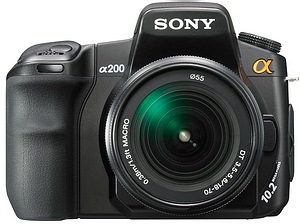 But seriously, I highly doubt I'll be reviewing the Sony A 200 below. It appears as though Sony has pulled a Nikon and will go with a totally entry level DSLR with the A 200. It isn't much different than the A 100, though It looks like it lacks a DOF button. From pictures it looks like it may take the new battery grip, but I'm not sure yet on that one Yes. There may be questions regarding Kelvin WB settings, so stay tuned. Also, it's very close to the Konica Minolta 5D with the dedicated ISO button and "fn" button. I never did like the function dial on my A 100. Let's hope with the new AF system it'll be more accurate with focusing. Funny, but I haven't seen one single picture of the bottom of the camera yet...secret!!! No more secret, just a regular bottom. CF I &II slot, no Memory stick adapter. Sony claims it's smaller and lighter than A 100, but the specs read the same as the A 100. No wireless remote, only wired like A 100. Optional vertical battery grip, $249. Flash (auto) pop-up button, so no tedious pulling. No depth of field preview button? Maybe no Kelvin WB settings, not sure though. Priced at $699 with kit lens, or $899 for two lens kit. Available (US) in February or March '08.